At Cardtastic we design and publish wrap and small, square greetings cards which we supply to lovely shops across the UK and beyond. 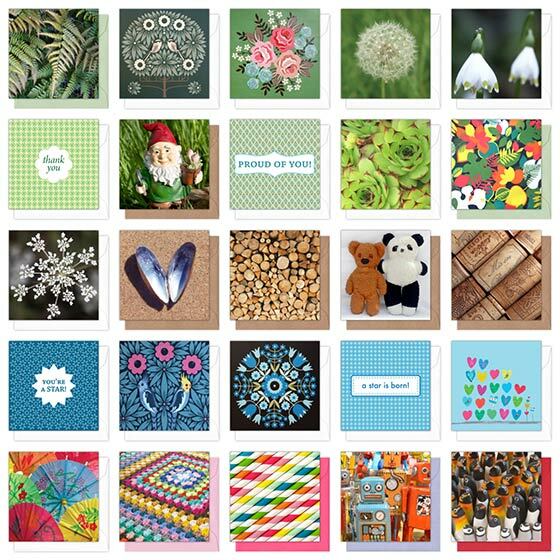 If you’re interested in stocking our cards, register your shop details to access the Cardtastic trade area. Here you will be able to order samples, access our trade pricing, find details of our wire spinner display packages, and place trade orders online. We have no minimum trade order and a low carriage-paid order value of just £90, otherwise carriage is £6 within mainland UK. As well as card and gift shops, we also supply cards for arts centres, museums and galleries; book shops; delis, farm-shops and cafés; florists and garden centres. The Cardtastic trade area allows you to view trade prices and place your trade orders online. 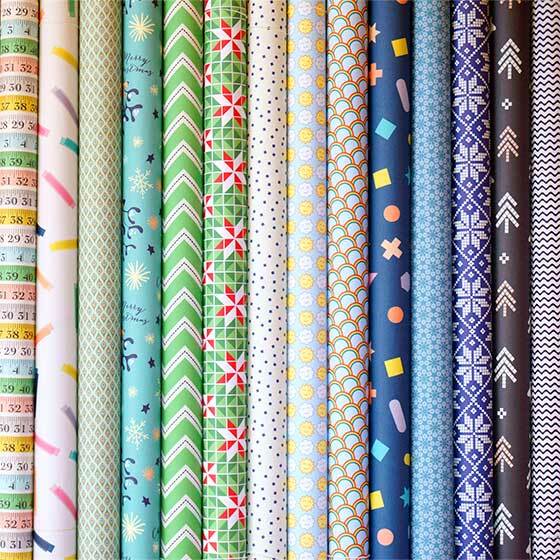 Most of our wrapping paper is double sided, with two complimentary designs and a lovely matt finish. Printed using vegetable inks on PEFC certified paper by local eco-friendly printers. Our bespoke spinners are made to fit our cards perfectly and come in a smart and durable metal finish. All of our cards are 10×10cms square and this display allows you to put together a coordinated collection in a small and compact footprint. We also offer volume discounts to individuals and companies. Our cards are left blank inside and are subtly branded, and are perfect for special events and occasions. We can supply cards unfolded (but pre-creased) so they’re easy to print inside using your ink-jet of laser printer.